Zynga earnings update: After closing up 4.66% at $2.92 a share ahead of Q2 2014 earnings Thursday, Zynga stock (Nasdaq: ZNGA) plummeted after hours, falling as much as 14%. Today (Friday), ZNGA stock opened trading at $2.72 a share and was down 5.14% midday. The social gaming company's earnings per share (EPS) were flat. As dour as that sounds, it was an improvement on the $0.04 per share loss in the prior quarter, and also beat consensus estimates by a penny. Sales were the main reason behind the sell-off. 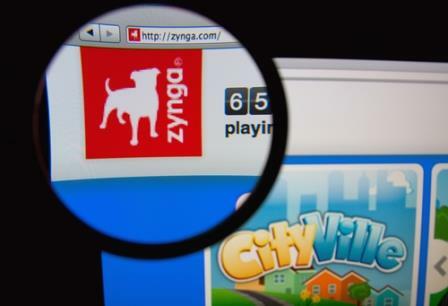 Zynga's revenue dropped from $230.7 million to $153.2 million. Another big contributor was the company's announcement that it slashed guidance. The company said it expects Q3 revenue in the range of $160 million to $170 million. Analysts were expecting $214.7 million. For the full year, the game maker said it expects bookings to be between $695 million and $725 million, versus its previous projection of between $770 million and $810 million. Zynga cited the delayed launch of some of its new features and games as the cause of the reduced guidance. "While our quarterly financial results were in line with our guidance range, we aspire to do better and improve execution across our business. Inside Zynga, we recognize that our products have the potential to live for multiple years and with nurturing, refinement, and investment, they can grow and scale. We are purposefully competing, and while we would like to be further along, we believe we are making the right decisions to grow our business and unlock long-term shareholder value," Zynga Chief Executive Officer Don Mattrick said at earnings release. Also of note in Zynga's earnings today was mobile revenue topped revenue from Web games on Facebook and Zynga.com for the first time. Monthly active users on mobile were up 34% year over year, likely in connection to the launch of new game sequel "Farmville 2: Country Escape" on mobile. Additionally, Zynga announced it will be entering into the sports-gaming realm. The company has reached deals with the National Football League and pro golfer Tiger Woods to create mobile games under those brands. "We perceive him to be the most iconic athlete in the world," said Mattrick of Woods. "When he's participating and competing, everyone watches and pays attention."